For something a little different, try gifting one of our beautiful ready to drink Scottish cocktails using the finest spirits & botanicals Scotland has to offer. 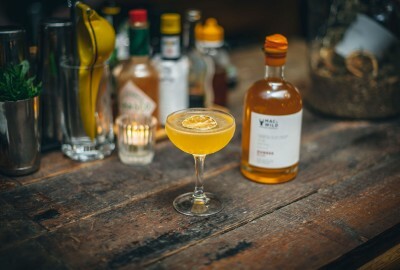 The Dundee Sour is a vibrant and lightly spiced Gin Sour cocktail combining Blackwoods Gin, apricot and spices. Inspired and infused with the flavours of a traditional Dundee Cake. This cocktail is best enjoyed sat amidst a grassy meadow on a beautiful evening relishing the longer days of spring. Alternatively, chill until ready to serve. Measure 75ml, add 25ml of fresh lemon juice and shake with ice. Strain into your favourite cocktail glass.